My name is Lyndsey Smith. I am a rising senior and economics major. This summer I am interning at the U.S. Forest Service, in conjunction with the Blue Mountain Land Trust, in Walla Walla. I coordinate the Nature Kids program. This is an educational series that encourages children to explore, play, learn about, and take action for nature. 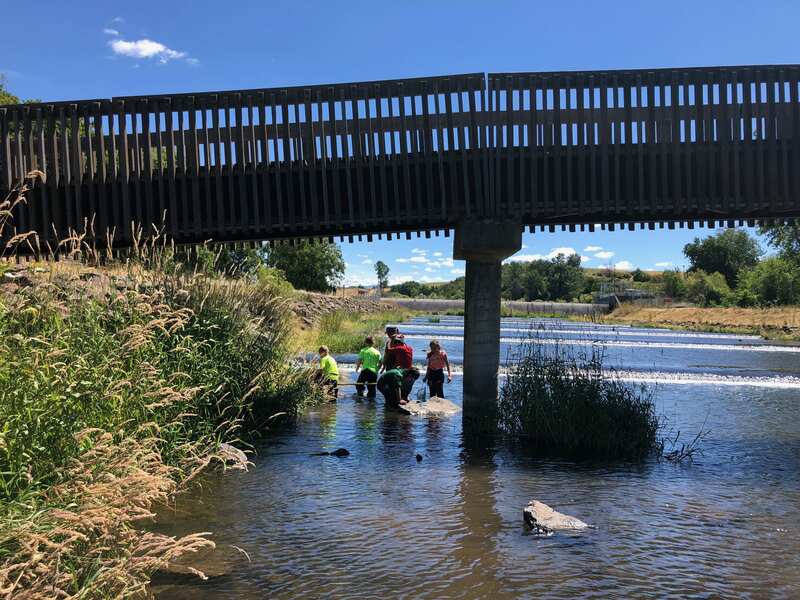 Throughout the summer, I have coordinated and will continue to coordinate activities and programs dedicated to this principle of conservation through education. These activities range from hands-on exploration of natural resources, conservation-related exercises, and presentations by science educators that cover various nature-related subjects including watershed ecology, biodiversity, geology, and pollinators. 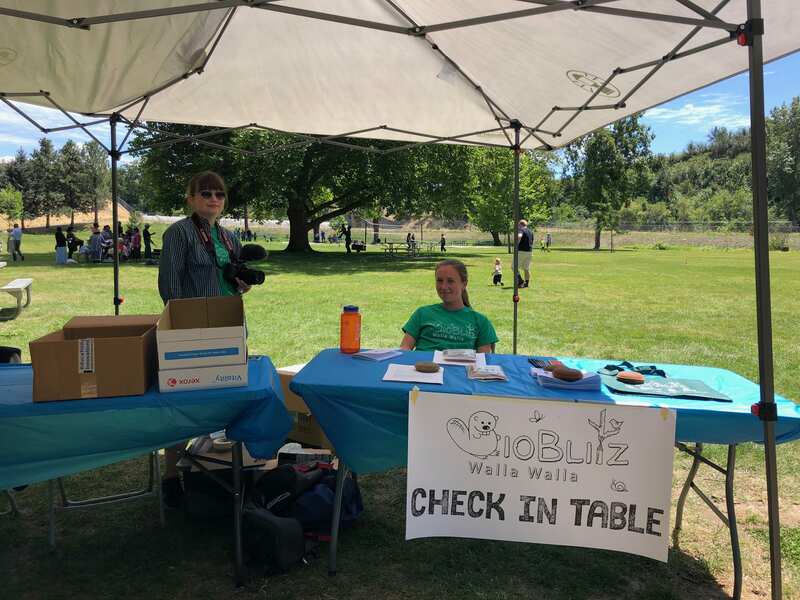 Since starting my internship in May, I immediately jumped into my biggest project for the summer, the first annual Walla Walla BioBlitz at Rooks Park and Bennington Lake. A BioBlitz is a short but intense period of biological surveying to identify and record all living species in an area. It is a mass exercise in citizen science, meaning that it is a coordinated action between local scientists and community members. A bioblitz, however, also goes well beyond this, although identifying the biodiversity of an area is certainly one of its goals. Ideally, when community members know more about a natural resource, and in this case Rooks Park and Bennington Lake, they will become an advocate of that natural resource to help preserve it and other natural resources. Therefore, the second goal of a bioblitz is community engagement with this idea of stewardship in mind. A lot of planning and coordination went into the Walla Walla BioBlitz in order to meet these dual goals. I helped plan various activities and crafts that would keep kids engaged. I was also in charge of a lot of the promotional work. I contacted news outlets, various public schools, and community organizations to spread the word. I wrote a radio ad, I created social media posts for all of our sponsors use to promote the event, and I distributed posters throughout Walla Walla. I also helped coordinate all eleven organizations that were involved in the event. I created t-shirts, bags, and the necessary forms and paperwork for the event. I helped create field guides for the participants and explained how to use the iNaturalist app (which is where all observations are recorded) to volunteers. However, despite all the work put into preparing for the event, we were still nervous (but also excited) for the day. We just weren’t sure what to expect for the actual day. June 30th, the day of the Walla Walla BioBlitz, was an awesome day. Almost 170 people, mostly families with kids, came to the event. There were guided nature walks throughout the day to Bennington Lake. Local scientists, including professors from Whitman College, ran stations throughout the park, covering topics on insects, plants, amphibians, reptiles, mammals, and fish. 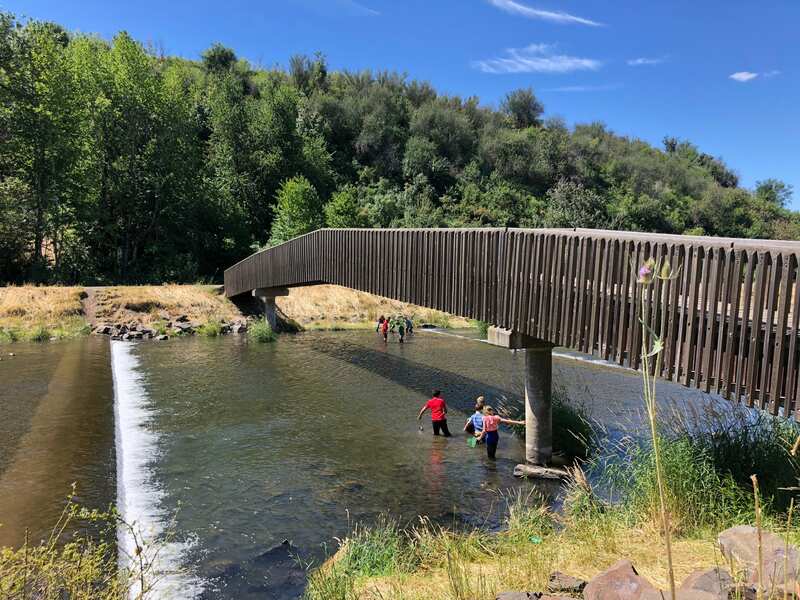 The kids especially loved the Tri-State Steelheaders station on Mill Creek. Kids (and parents) were given waders and nets and encouraged to explore the living creatures of Mill Creek. One kid even had goggles on and looking under the water. Everyone was extremely wet and extremely excited. People found snakes, fish, and various macroinvertebrates. My favorite find, however, was made by a little girl in a blue tiara. 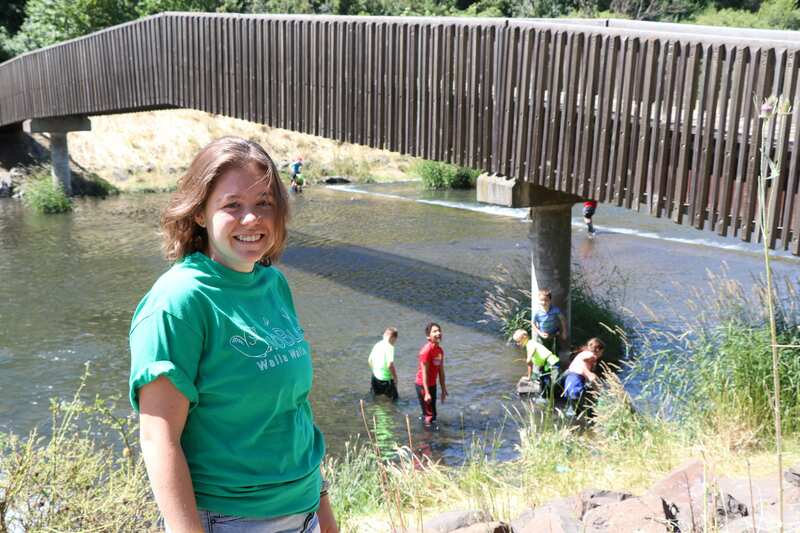 This fou r-year-old girl found a very rare freshwater mussel, which signals that Mill Creek is fairly healthy. It made all of the planning and work prior extremely worth it. We reached many community members and identified various species in Rooks Park. But most of all, everyone enjoyed it. Many participants were asking about doing this next year as well. Overall, is was a fun, successful day.